Posted in: Art, Music, Photography. Tagged: 1500's, Flemish (Antwerp), Landscape, Lou Reed, Master of the Female Half-Lengths, Nelson-Atkins Museum of Art, Oil on wood panel, Penitent Saint Jerome in Landscape, Perfect Day. "The Master of the Female Half-Lengths is a name given to an as yet unidentified artist who worked in Antwerp and Bruges and specialized in paintings of half-length female figures. 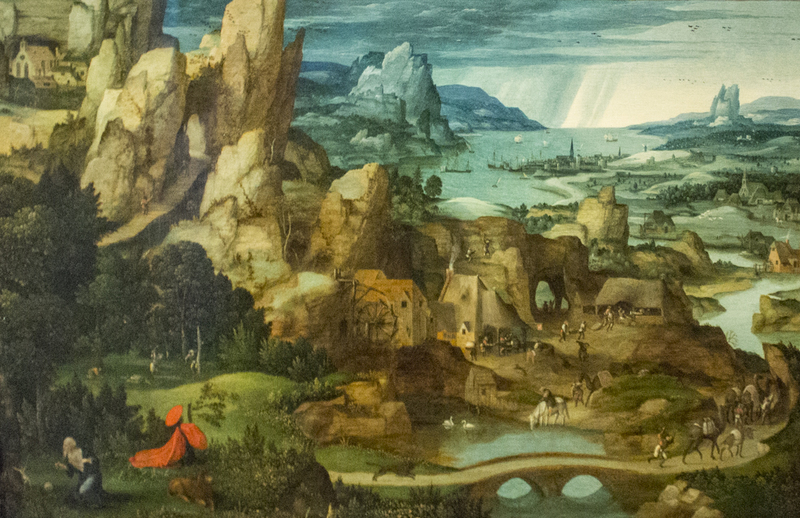 A number of landscapes have been attributed to him, including this panel. 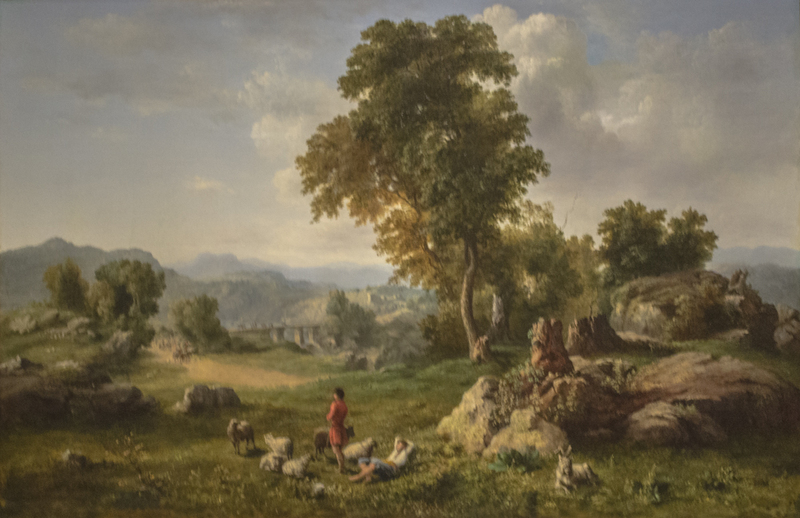 This type of panoramic landscape with jagged rocks and small figures engaged in varied activities was intended to evoke the harmony between man and the wonders of nature. Landscapes at this time were considered works of mere imitation, requiring little imaginative power, so their status was usually enhanced by endowing them with a religious subject, in this case the Penitent Saint Jerome." Posted in: Art, Music, Photography. Tagged: Dusty Springfield, Dutch, Landscape, Nelson-Atkins Museum of Art, Oil on canvas, Piet Mondrian, Stammer Mill with Streaked Sky, Windmill, Windmills of your mind. 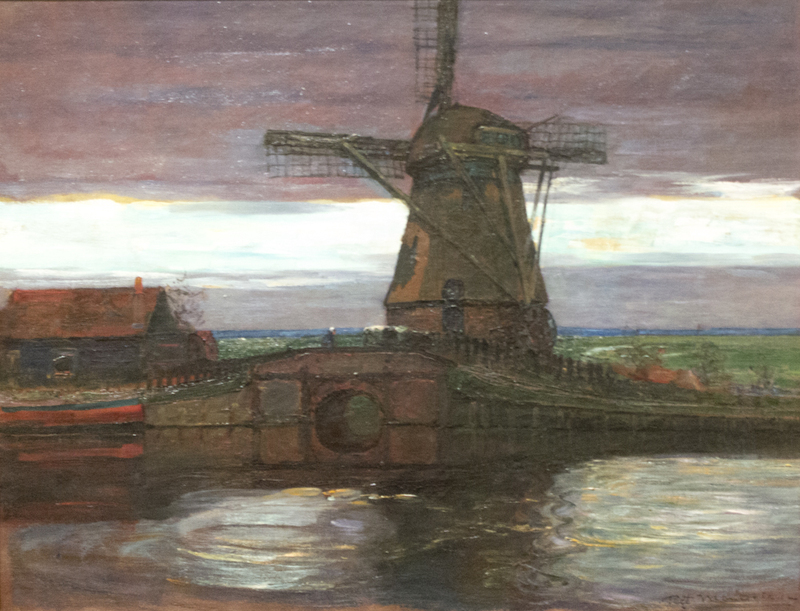 "Before Piet Mondrian became known for his orderly red, yellow, and blue geometric abstractions, he made more than 30 paintings of the windmills that dotted the Dutch countryside. With this painting, he began a shift away from earthy naturalism, and hints of his future work emerged. The gridded windmill blades are in perfect vertical and horizontal alignment. Notice the swaths of yellow in the sky, the blue horizon line, and the red boat. This use of primary colors and geometric forms anticipates the colors and grids of his later compositions." Posted in: Art, Music, Nature, Photography. Tagged: 1800's, George Inness, Hudson River School, Landscape, Nelson-Atkins Museum of Art, Oil on canvas, Peace and War, Peace Will Come, Thomas Cole, Tom Paxton. A major early work by George Inness, Peace and War unveils a rugged and vaguely historical panoramic landscape. Basing his composition on 17th-century French models, Inness placed two diminutive shepherds tending a small flock in the foreground. An approaching company of knights strikes a disquieting note in the otherwise bucolic scene. 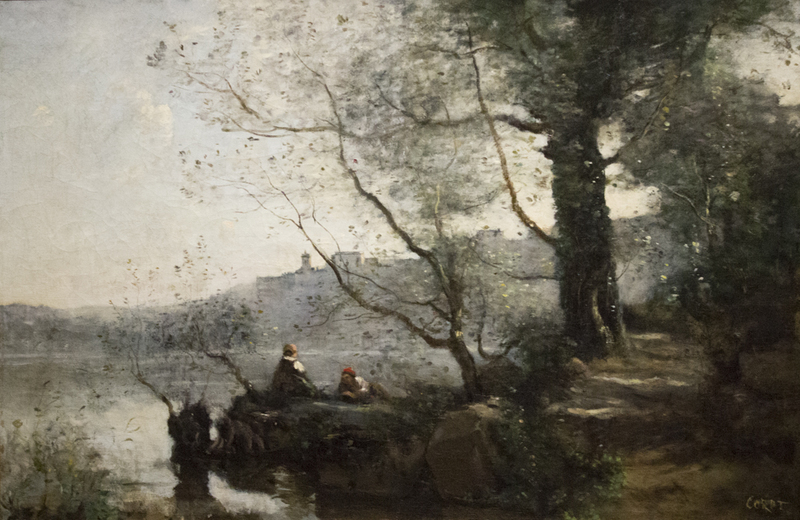 Inness' highly descriptive style speaks to the pervasive influence of the Hudson River School of landscape painting. Dated to 1848, Peace and War may have served as Inness' tribute to Thomas Cole, the spiritual head of the Hudson River School who died that year. The painting might also allude to the Mexican-American War (1846-1848) and to waves of political revolutions that swept Europe beginning in 1848. Posted in: Art, Music, Nature, Photography. 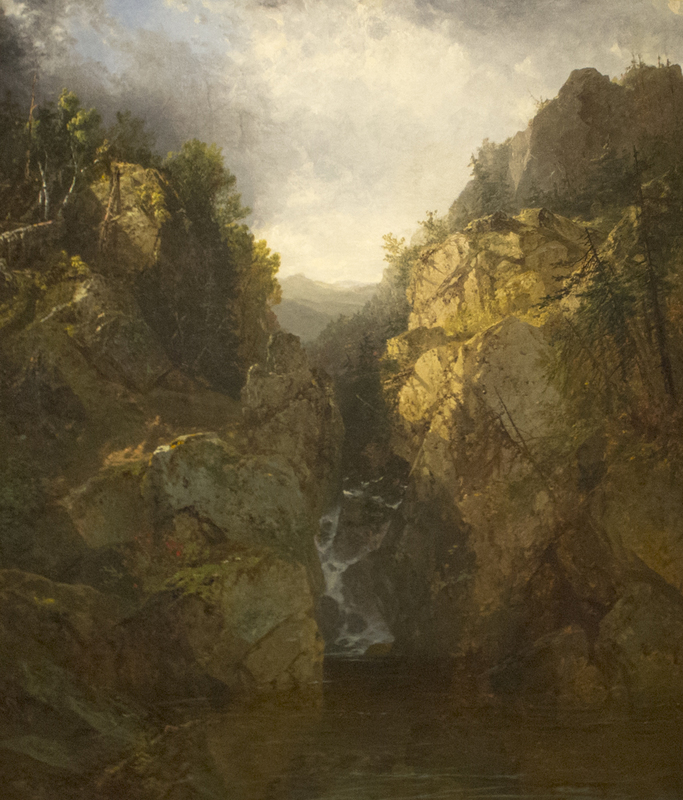 Tagged: 1800's, A Woodland Waterfall, American, John Frederick Kensett, Landscape, Maybe I Amazed/Waterfalls, Nelson-Atkins Museum of Art, Oil on canvas, Paul McCartney. John Frederick Kensett embraced the aesthetic categories of the Sublime and the Beautiful shared by fellow artists and the writers Ralph Waldo Emerson and Henry David Thoreau. 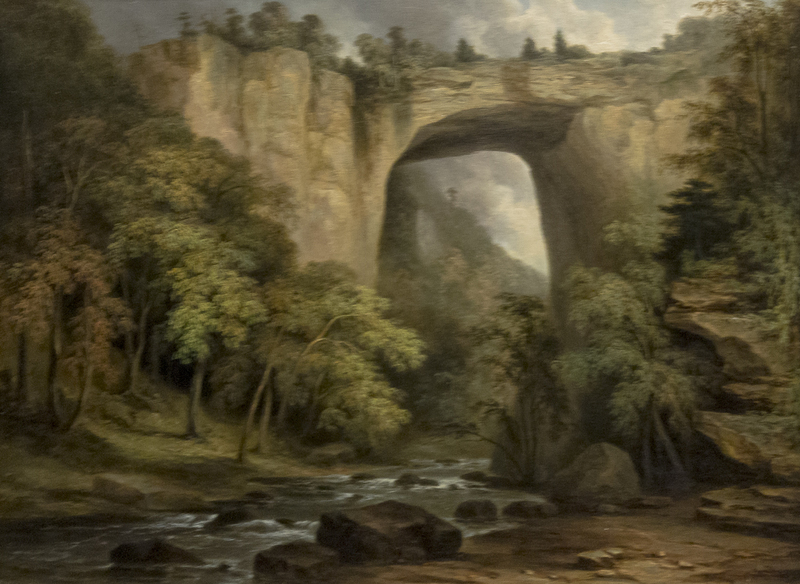 In A Woodland Waterfall, Kensett blended the rugged wilderness typical of Sublime landscapes with a peacefulness associated with the Beautiful. He painted the canvas with characteristic attention to detail, subtle gradations of tone and bold accents such as the orange lichen on the rocks and the red foliage to the left. Posted in: Art, Music, Photography. Tagged: 1740, François Boucher, Landscape, Landscape with a Water Mill, Nelson-Atkins Museum of Art, Oil on canvas, paintings, Ronald Binge, The Watermill. French 18th-century painters would often allude to the work of their 17th-century predecessors. Here, Boucher refers to landscapes by the French classical painter Claude Lorrain, Mill on the Tiber. Both paintings feature a water mill balanced by trees on the opposite side of the composition. 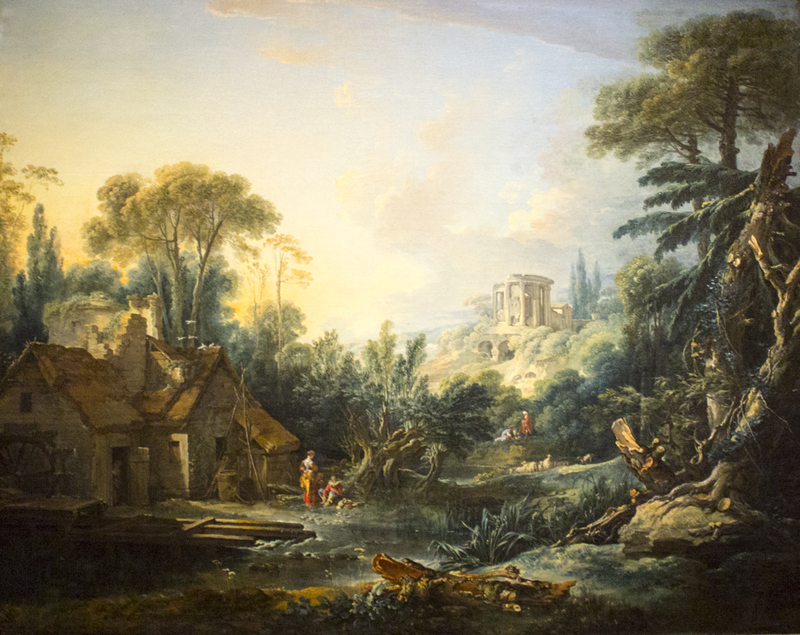 Furthermore, in this landscape Boucher includes a temple in the distance that is based on the Temple of the Sybil at Tivoli, another favorite classical Claudian motif. Compared to his 17th-century predecessor, Boucher applies paint more thickly, in lighter strokes, resulting in a lush, decorative density typical of the Rococo.